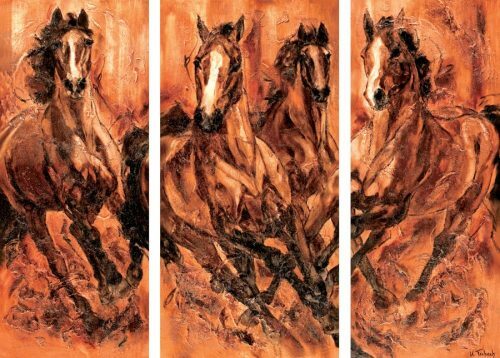 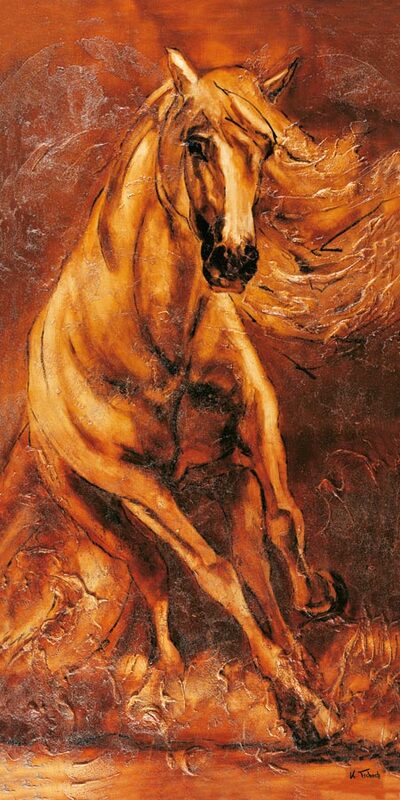 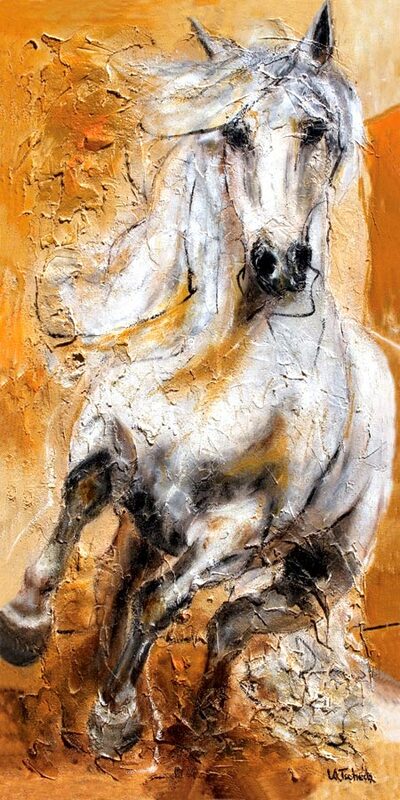 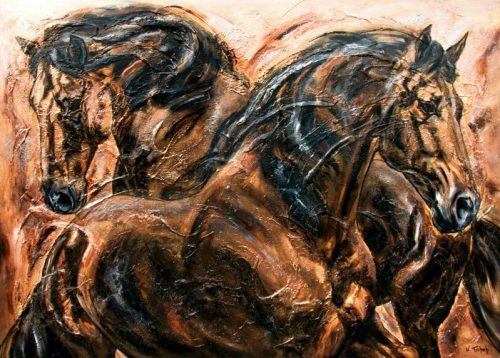 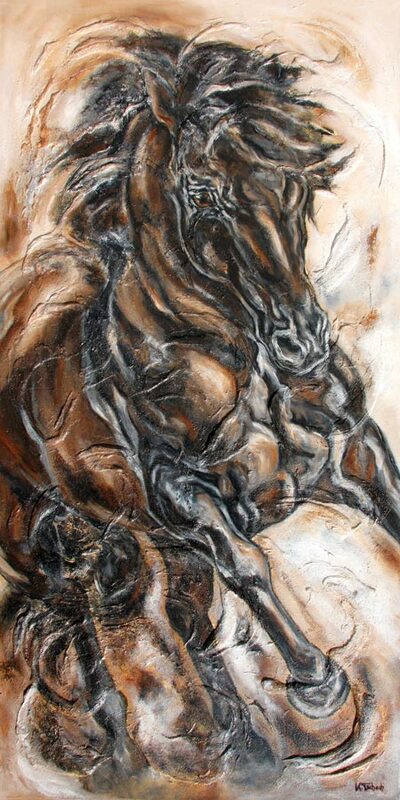 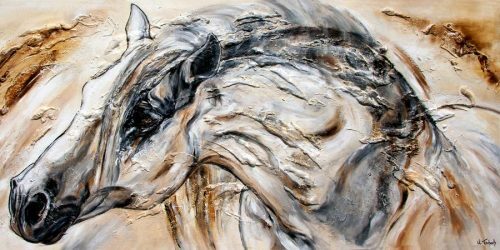 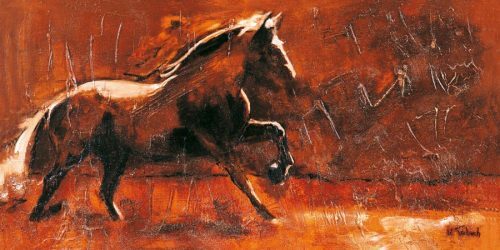 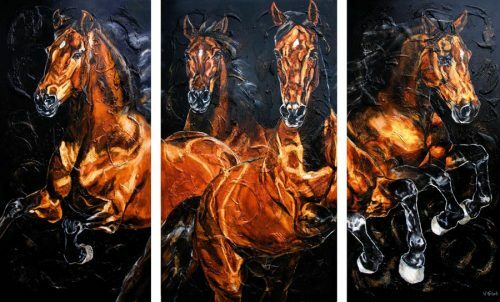 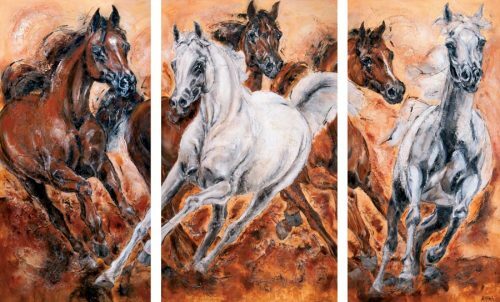 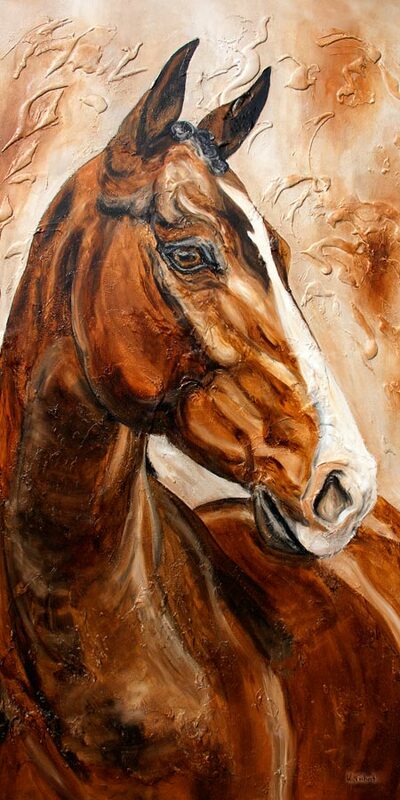 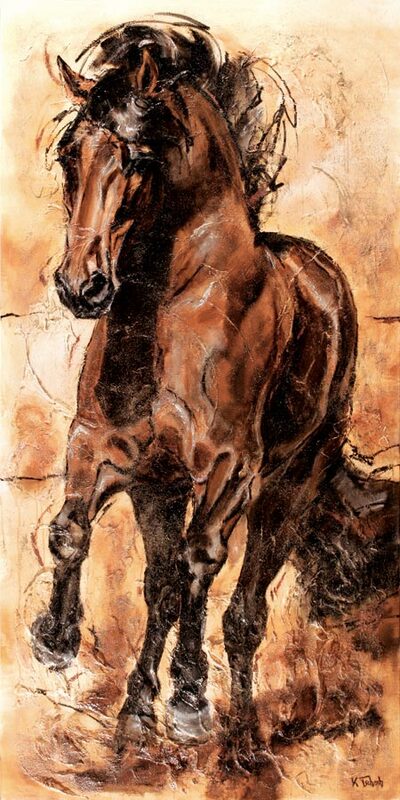 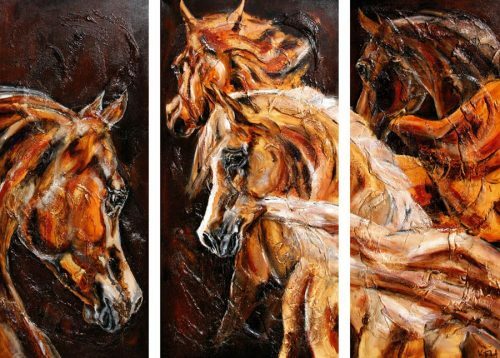 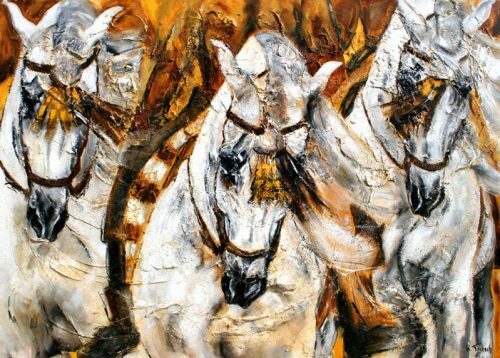 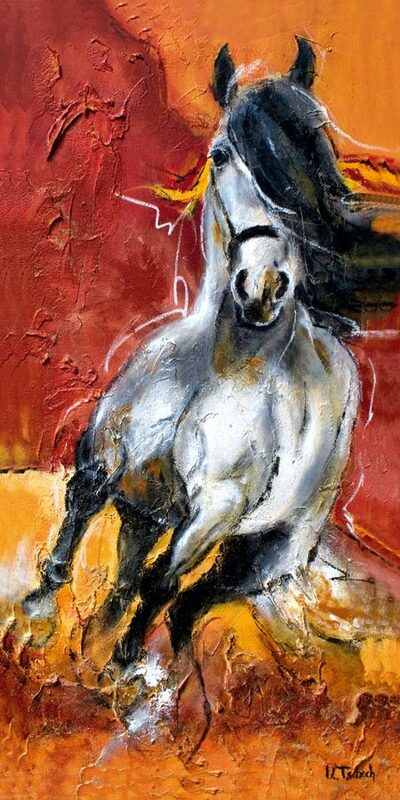 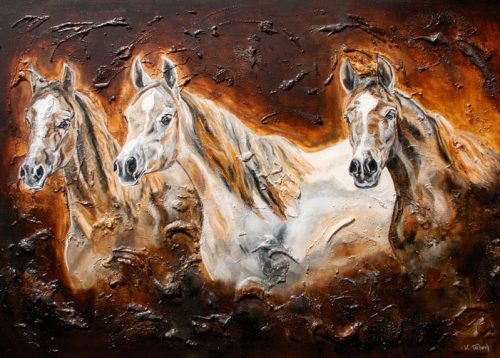 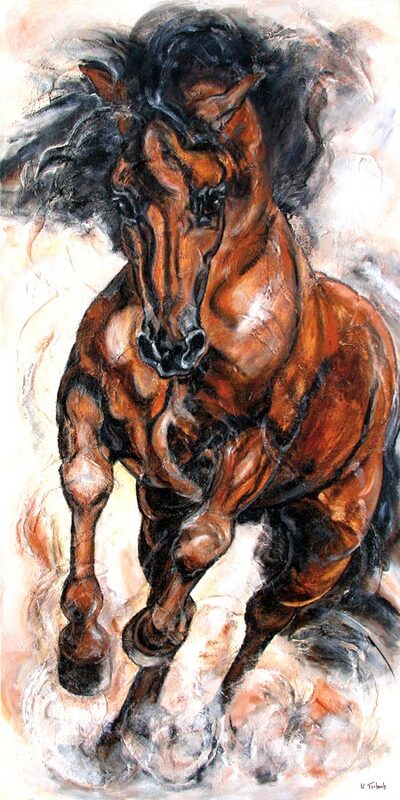 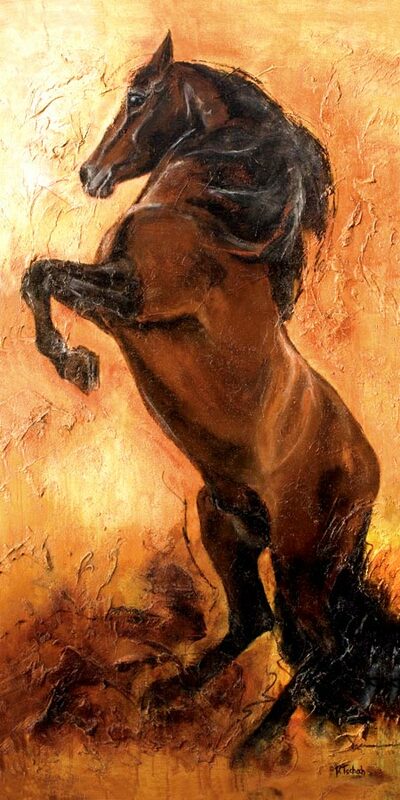 In her loving realisation of each horse painting, the artist has made it her task to work out the individuality and speciality of each horse with regard to the respective horse breeds. 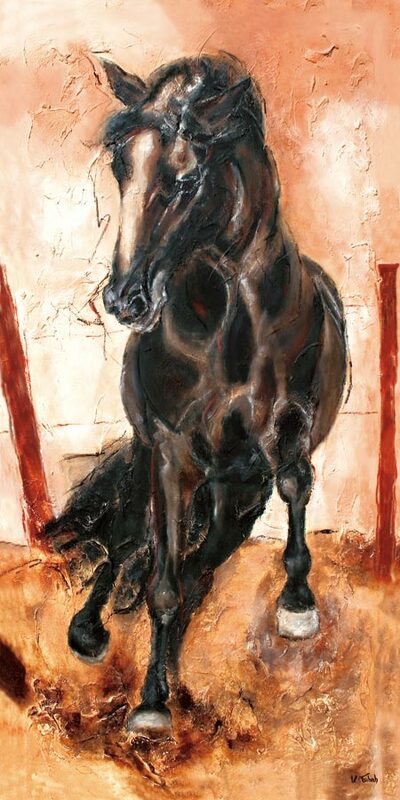 She takes particular account of the characteristic features that are typical of each horse breed. 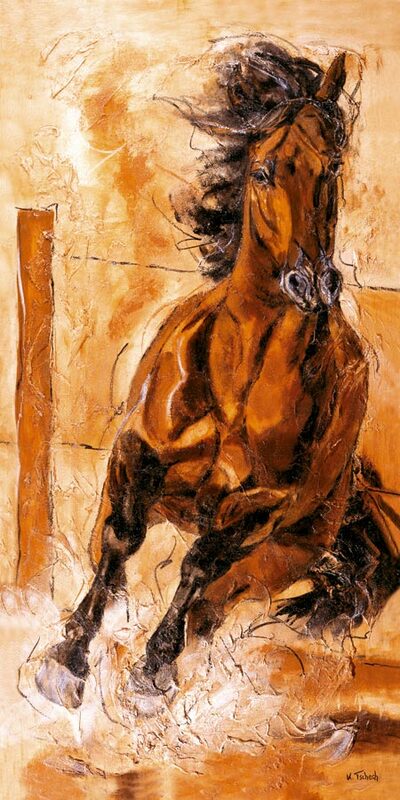 Be it the noble and elegant body of the Arabian Horse with a high tail or the muscular, athletically shaped PRE with its noble expressiveness. 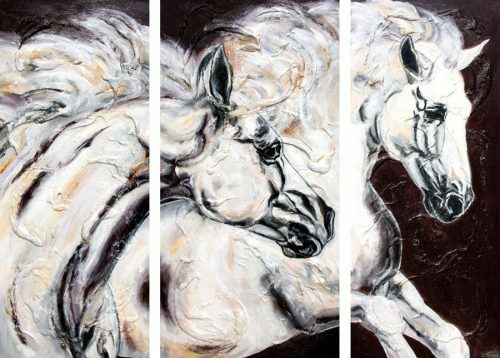 As a horse lover of a certain breed, here you can see special splendour pieces as a horse print on canvas or on another printing medium. 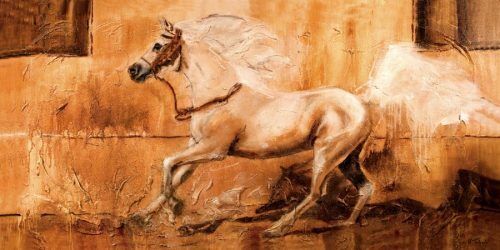 In equestrian sports as well as in leisure riding you can see different horse breeds, which do not only distinguish in their appearance. 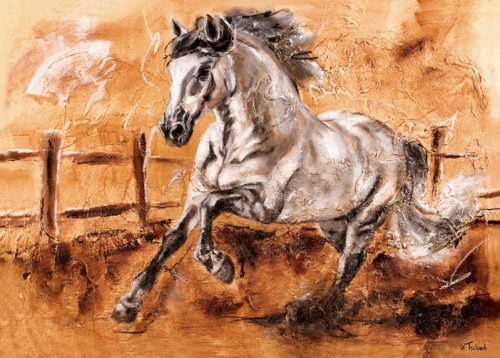 Because each race has also its completely special character and brings along different physical conditions. 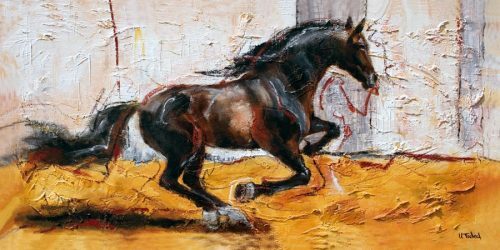 While, for example, the Friesian breed has a patient character and a compact, muscular physique, the Arabian breed has a temperamental character and a square physique with long, slender legs. 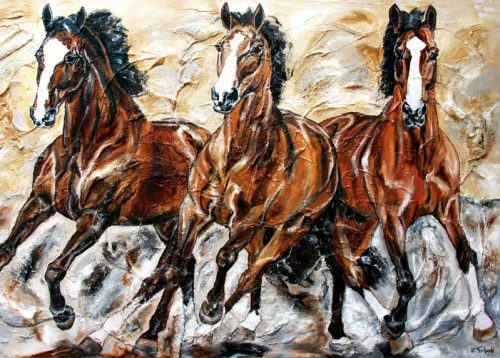 Therefore Arabian horses are especially suitable for long distance races and Friesian horses for show riding or as carriage horses. 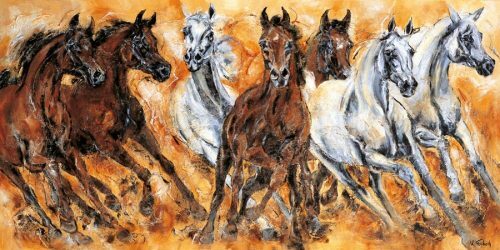 Thus the breed also decides on the individual suitability of the horses. 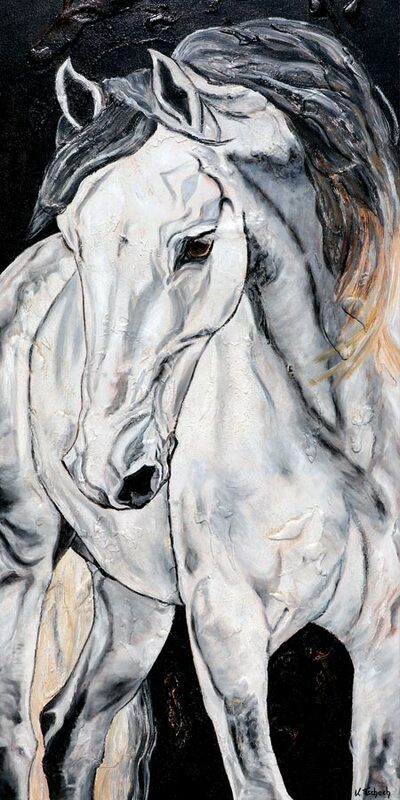 In addition to horse breeds, horses can also be classified as Draft Horses, Crossbred Horses or Thoroughbreds according to their temperament and physique. 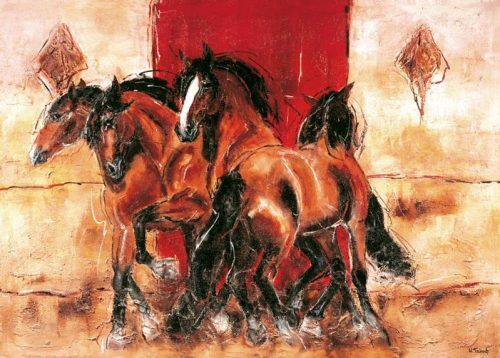 Draft horses stand for powerful and calm horses and are often used as workhorses like the Black Forest horses. 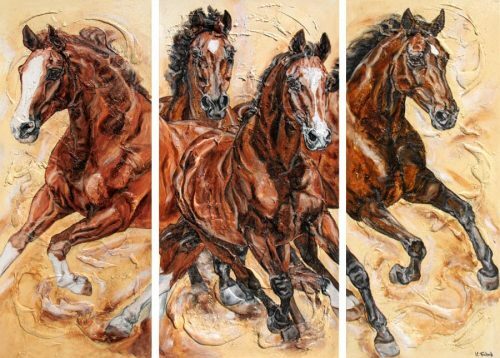 Crossbred Horses, on the other hand, have more temperament and are fast and muscular horses, which are mainly used in dressage and show jumping. 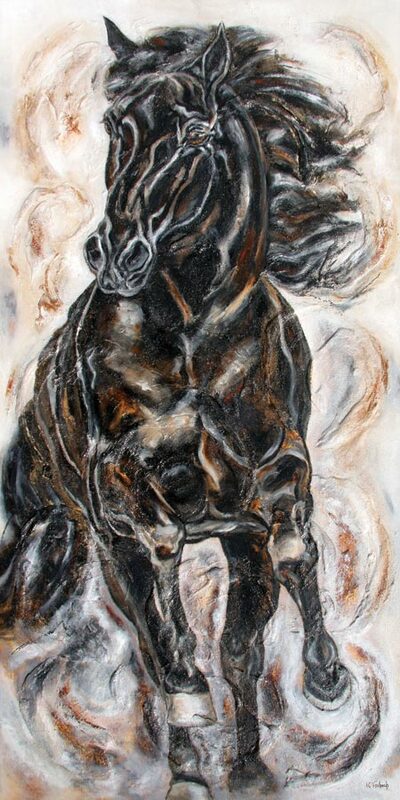 In contrast, Thoroughbreds are slender and fiery horses that are predestined for horse racing due to their endurance and speed. 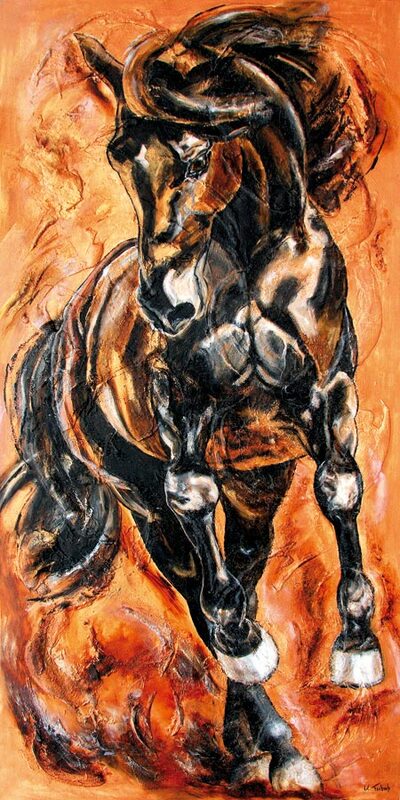 A well-known thoroughbred breed is the Anglo-Arabian.